The Battle of Loos began on 25 September and was called off in failure on 28 September. It was part of the wider Artois-Loos Offensive conducted by the French and British in autumn 1915 and is sometimes referred to as the Second Battle of Artois. Douglas Haig (pictured left) presided over the battle and was persuaded to launch the Loos offensive despite serious misgivings. 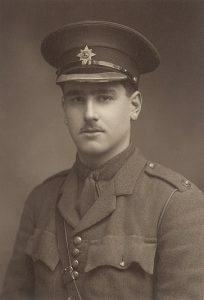 He was concerned at both a marked shortage in available shells (sparking the shell shortage scandal in Britain in 1915), and at the fatigued state of his troops. Furthermore, he was concerned at the nature of the difficult terrain that would need to be crossed. All things considered, Haig favoured a delay while these concerns were addressed. Set against these concerns however was the reality that the British enjoyed massive numerical supremacy to the German opposition at Loos. In some places the numerical superiority in places was 7 to 1. Haig’s plan called for the release of 5,100 cylinders of chlorine gas (140 tons) from the British front line one the artillery bombardment had concluded. 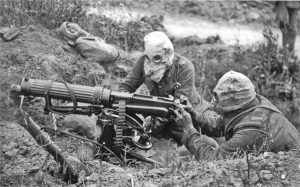 The quantity of gas used was designed to entirely overcome the primitive state of German gas mask design in use at the time. The gas mask worked for a total of 30 minutes so smoke would be used in conjunction with the gas so that the gas masks were kept on for longer than 30 minutes and were then rendered useless. Unfortunately the release of the gas was not without mixed results. 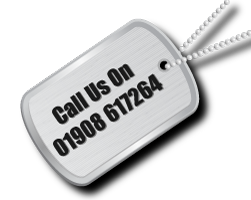 In places the wind blew the gas back into the British trenches, resulting in 2,632 British gas casualties, although only seven actually died. Haig’s strategy involved the deployment of I and IV Corps in the gap between Loos and the La Bassee Canal, while II and III Corps formed diversionary attacks. Once the first German position fell, reserves from IX Corps, aided by cavalry, would pass through the gap and attack the German second line. The southern section of the attack which was conducted by IV Corps made significant progress on the first day of the battle which surprised Haig with the capture of Loos and the advance onwards towards Lens. However, supply problems and the need for reserves brought the advance to a halt at the end of the first day. Haig had asked the British Commander-in-Chief, Sir John French, to make available IX Corps which consisted of two ‘New Army’ divisions that were fit but untested in battle, for potential reserve use the same day, but French argued that they would not be required until the following morning. These troops were eventually released during the early afternoon but delays in travelling meant they did not arrive until night fall. Meanwhile, north of the Hulloch-Vermelles road, which ran across the battlefield, I Corps made less progress, with the British gas attack not as effective as it was in the Loos Valley. However, the 7th and 9th Divisions managed to establish a foothold on the Hohenzollern Redoubt. The delay in making available the reserves was crucial. The German lines that defended Hulloch and Hill 70 were formidable and reserves poured in to counter-attack the following day. In fact, the German defences on the second day of the battle were stronger than at the start of the battle. Advancing towards the Germans that afternoon without covering fire, they were decimated by machine gun fire. The Germans were astonished that the attack had been launched without adequate cover. After days of sporadic fighting, the British were forced to order a retreat. It was during this battle Rudyard Kipling’s son, John (pictured right), was lost believed killed; the fact that he was listed as missing sparked a crusade by his parents to locate his body and give it a proper burial, without success. In recent years, his body was discovered and is now buried in St Mary’s ADS Cemetery. 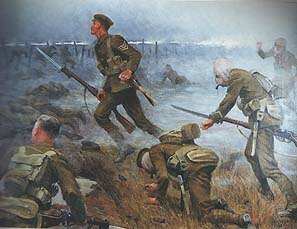 The Loos attack was renewed by the British on 13 October, when more heavy losses combined with poor weather caused the offensive to be called off. During the battle the British suffered 50,000 casualties. German casualties were estimated much lower, at approximately half the British total. 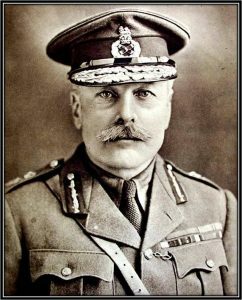 The British failure at Loos contributed to Haig’s replacing Sir John French as Commander-in-Chief at the close of 1915.